The Artichoke Press was founded in 1975 by printer/photographer Jonathan L. Clark in Mountain View, California. Artichoke Editions are handcrafted in Clark's studio using techniques including letterpress, sheet-fed photogravure, etching, lithography, original photographs, and digital printing. 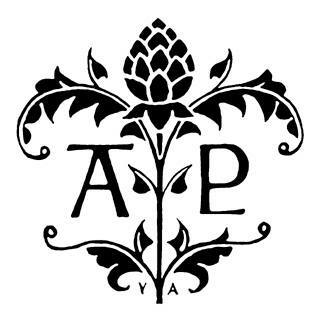 Artichoke Press productions are collected by leading libraries, museums, and bibliophiles throughout the world (see Collections page). Jonathan Clark was the 2012 recipient of the Oscar Lewis Award for outstanding contributions to the Book Arts from the Book Club of California. He received two USIA travel grants to Poland and Spain; a fellowship from the Arts Council Silicon Valley; the JGS Foundation Book Award; the Western Books Award of Merit; and Photo-eye’s Best Photography Book Design of the Year Award. Solo shows of Clark’s photographic work have been held in Japan, Spain, and Eastern Europe, as well as the United States. A show organized by the US Information Service travelled to museums throughout Poland. His books and prints have been included in exhibitions at: J. Paul Getty Museum, Los Angeles; Legion of Honor Museum, San Francisco; Photo Gallery International, Tokyo; San Francisco Museum of Art; Stephen Daiter Gallery, Chicago; Stanford University Library; De Saisset Museum; Triton Museum; Center for Photographic Art, Carmel; San Francisco Center for the Book; John Bolles Gallery, Scott Nichols Gallery, George Krevsky Gallery, and Gallery 291, San Francisco; and others. He has lectured or held residencies at: Legion of Honor Museum, San Francisco; University of Barcelona, Spain; Institute for North American Studies, Barcelona; US Consulate and Jagiellonian University, Krakow, Poland; Stanford University; University of Rochester; University of West Florida, Pensacola; University of South Florida, Tampa; The Book Club of California; Center for Photographic Art, Carmel (partial list). His publications include: Ottawa, Illinois 1967 (Nazraeli Press/JGS); Carmine (Artichoke Editions); Prospects of Florence (photogravure album); Cut-Paper with Frederick Sommer (Artichoke Editions); as well as articles and photographs in books and journals. He is co-editor of The Hedgehog international arts review published in San Francisco. Clark was born in Ottawa, Illinois, and has spent most of his life in California. He began taking photographs at the age of 14, studied with George A. Tice at the Aspen School of Contemporary Art, and enjoyed long creative friendships with Wynn Bullock and Frederick Sommer. He holds a BA in Aesthetic Studies from UC Santa Cruz and a MA in Humanities from CSU Dominguez Hills. For information about Jonathan L. Clark's photography, see www.jonathanclarkphotography.com.